The Honda Civic can do it all. Though compact, this model packs a punch when it comes to performance, customization, interior space and comfort, and advanced features. 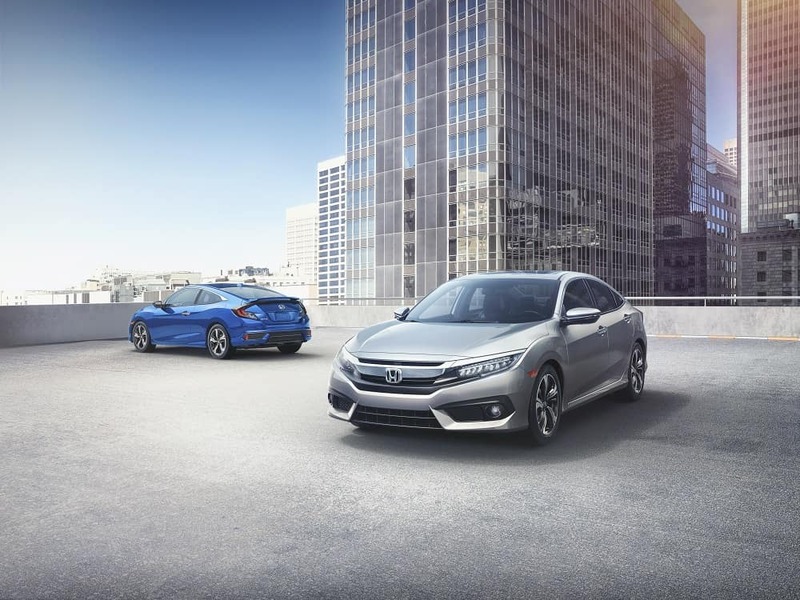 To help you get the full picture of what this model has to offer, we at Marty Sussman Honda have created this Honda Civic resource page. Inside this Honda Civic resource library, shoppers in the areas of Abington, Willow Grove, and Glenside will find all kinds helpful resources including reviews, comparisons, and much more. Read ahead to learn more! On top of its powerful yet efficient performance and three unique body styles, this model offers all kinds of features to choose from. Inside our Honda Civic reviews, you’ll get a closer look at the performance specs and dimensions of this model as well as a detailed overview of the features you can choose from. 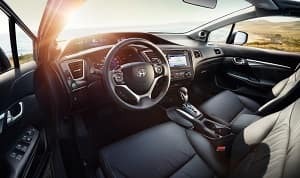 Some of the features you’ll read about include its touchscreen infotainment system, its many available comfort features, and its Honda Sensing® suite of safety features. Dive into our Honda Civic reviews right now to see what kind of advanced safety features you’ll be working with. Each body style of the Honda Civic offers several unique trim levels to choose from. With each trim level, you’ll get a special lineup of features that differ from the others meaning one trim level might be a better fit for your needs than another. Inside our Honda Civic trim level guides, we’ll break down the logistics of each trim level to show you the key differences between them so you can make an educated decision on which one you need. One more type of resource we have to offer inside this Honda Civic resource library is our Honda Civic model comparisons. These comparisons are designed to show you how this model compares with other similar models on the market. When you read through one of our Honda Civic models comparisons, you’ll get a good idea of how this model stacks up against other models when it comes to a variety of aspects. We compare them in terms of performance, comfort, interior space, technology features, safety scores, and much more. As you can see, the Honda Civic goes above and beyond in every way imaginable. After taking advantage of our Honda Civic research resources, we hope you’re ready to get behind the wheel and confirm that this is the model for you. Shoppers in the areas of Abington, Willow Grove, and Glenside can do exactly that by giving us a call at Marty Sussman Honda today so we can get you set up for a test drive! 1 25 city/36 highway/29 combined mpg rating for LX & Sport 6MT trims. 30 city/38 highway/33 combined mpg rating for LX CVT and Touring trims. 29 city/37 highway/32 combined mpg rating for Sport CVT trim. 32 city/42 highway/36 combined mpg rating for EX & EX-L trims. Based on 2019 EPA mileage ratings. Use for comparison purposes only. Your mileage will vary depending on how you drive and maintain your vehicle, driving conditions and other factors.